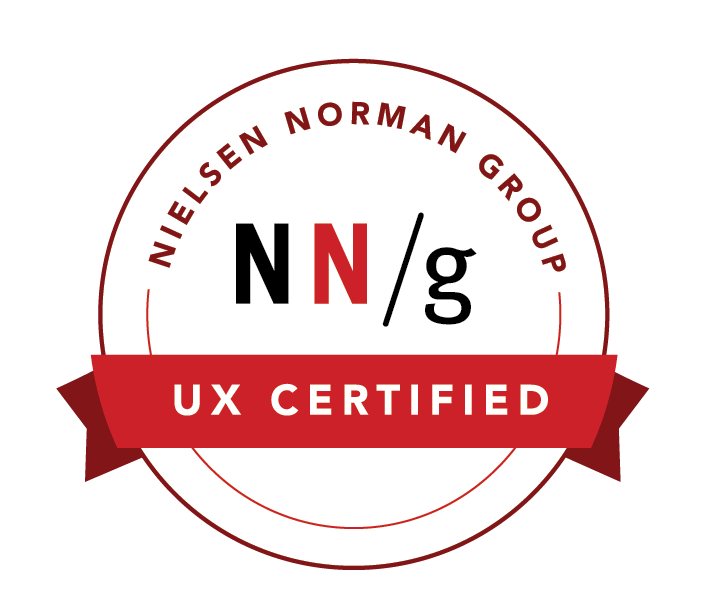 Are you seeking an experienced, creative UX/UI (UX Certified) and/or front-end digital media professional with leadership qualities? Would a web designer, front-end developer, web application designer, professional photographer, and/or multimedia professional be a bonus? Perhaps a proven digital marketer with invaluable experience in SEO and SEM is enticing? How about a highly motivated individual who is a proven leader and the consummate team player? Does someone with a former career in the psychology field intrigue you? If you answered "YES" to any of these, then please scroll down▾ to learn more! Participate in ongoing education opportunities. coordinate and lead global rebranding initiative for web and social media efforts after company acquired and changed names. write, program and disseminate eNewsletters to a vast audience. utilized my photography skills for the company and for clients. aided in transition system's CMS from BroadVision to MedSeek. analyze web traffic data and implement recommendation for changes to enhance website. offered regular recommendations and implementations to improve the organization's web presence needs. provided in-house portraiture, candid, still and sports photography for use in publications. reviewed with clients their vision and wishes through creation and implementation. Added specialization in Interaction Design during six day workshop with one of the industry's premier UX experts with a focus on the following tracks: Interaction Design (3 day course); Emerging Patterns for Web Deisgn; The Human Mind and Usability; Information Architecture. Earned UX Certification during five day workshop with one of the industry's premier UX experts with a focus on the following tracks: UX Basic Training; Personas: Turn User Data Into User-Centered Design; Wireframing and Prototyping; Web Page UX Design: Optimizing Pages to Deliver on Business Goals; and the One-Person UX Team Tool Box. Three day of intensive workshop and talks centered with UX design skills. Topics and workshops attended include: Service Design - creating delightful cross-channel experiences; designing with type; screen time - multi-device design; design for understanding; what video games teach us about UX; the architecture of understanding; UX strategy means business; the complexity of simplicity; the transformative power of typography and graphic design; designing microinteractions; and principles, values, and effective design team. Was recruited and served as a judge for the annual conference website awards. Reviewed and provided feedback for submitted healthcare websites and judged based on predetermined criteria that requires experience and expertise in the industry. Served each year since 2011. My photo of Jim Nantz appeared in the New York Times. Photo selected by a panel of outside professional art consultants for Grand Prize. Photo permanently hangs in The Methodist Experience Healing Arts Gallery located at the Houston Methodist Hospital in the Texas Medical Center. MyParkPhotos.com - Photo garnered Photo of the Year in an international public lands photography competition. The following is a small sampling of sites I've design, developed, provided user experience expertise or a combination or all. Full beginning to end design, development and content project. Implemented WordPress per client's request for CMS. Enhance and maintain corporation's new custom-built online software utility for clients to manage their online business. Work done with .Net programming. Provided UX design and worked with agency graphic designer on UI. Programmed front-end design with PhP. Provided UX design and worked with agency graphic designer on UI. Programmed in WordPress for custom CMS per client's request. One-day beginning to end design, development and content per client's urgent request - he didn't have a site and a potentially large business customer wanted to see something online. Provided UX design and worked with agency graphic design on UI. Programmed using PhP and Foundation for responsive design. Worked with 3rd party company on secure online application process for client. Provided UX design and worked with agency graphic design on UI. Programmed CMS site in WordPress per client's request. Worked with 3rd party company on secure password protected area for clients. Provided beginning to end design, photography and WordPress development for client. Site is currently awaiting approval and extra information for completion. © 2019 by Duskin Donald Hill. All Rights Reserved.